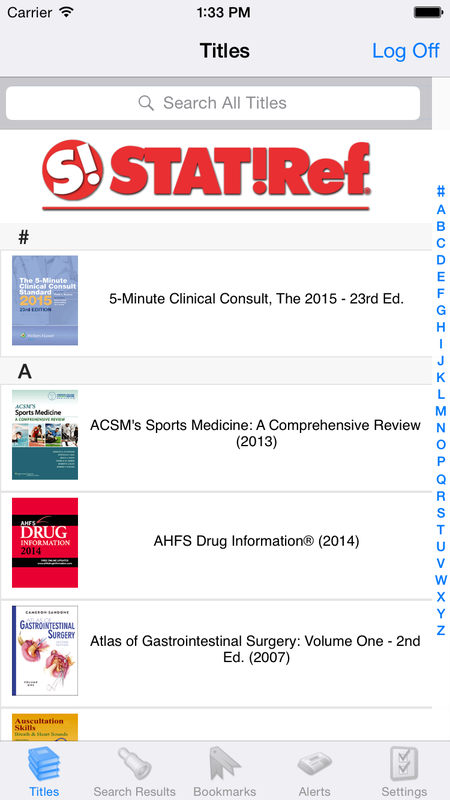 STAT!Ref Mobile App Push Alerts are notifications of new STAT!Ref Medical News Feed articles or Evidence Alerts that are received directly via your mobile device in addition to regular e-mails. These important and distinguishing value-added features are within the STAT!Ref Mobile App for an integrated experience. Even more, you can set up these Push Alerts within the app if your STAT!Ref App is configured to your My STAT!Ref Account. 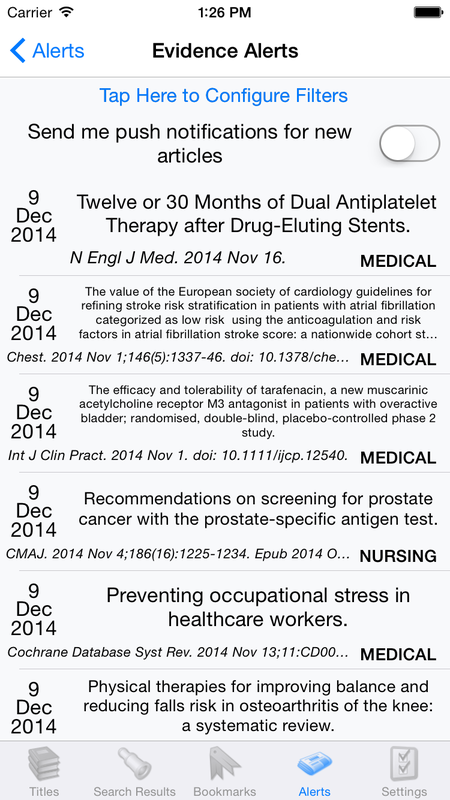 Or, you can make changes to your Evidence Alerts and STAT!Ref Medical News Feed preferences on the go. You can also allow the Push Alerts into your mobile device's notification system. See below to learn more now. Already have the STAT!Ref Mobile App? Don't have the STAT!Ref Mobile App? For more information about these features, or to schedule a demonstration webinar or free trial, contact a STAT!Ref Team Member here or by calling 800-901-5494.